You’re not sick but not well either. Your tests are normal, your doctor tells you that it’s all in your head, you are getting old or you are stressed. Can you relate to this? It’s not in your head, you may be Tox-Sick and it could be environmental toxins. In Suzanne Somers new book Tox-Sick: From Toxic to Not Sick, The Toxins in Your Body, The Diseases They Cause and The Doctors Who Can Help, Suzanne Somers new book give some powerful evidence and stories that give hope to people who are not feeling well. Studies show that we are living in a sea of toxins and chemicals and our bodies are reacting. Removing the toxins by eating organic, giving supplements to help your body detoxify and restoring your body to balance can leave you from feeling Tox-Sick to Not Sick. In my practice every day, I ask patients to do a cleanse which is just a word I use to describe a detoxification/elimination diet so they can experience the effects that food and toxins have on their health. The results are dramatic. Here are some of the reasons why you my want to consider detoxification from chemicals and food. 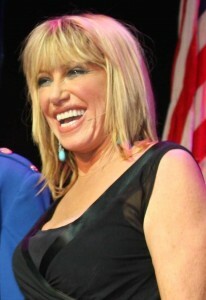 Suzanne Somers new book cites many studies and publications. Suzanne Somers new book makes a point. Toxins are ruining our health. Harvard school of public health stated that toxic chemicals may be triggering recent increases in neurodevelopmental disorders. Columbia School of Public Health indicated that 95% of cancer is caused by diet and the environment. Suzanne Somers new book shares interviews doctors who are experts in these areas, who describe their effects and what you can do about turning your life and health around. Supplements such as Vitamin D, Zinc, Magnesium, and DHA (a component of fish oil) and more depending on your condition. Reading the book may make you a believer. Even if you are not sick, eating clean, using non toxic products and adding detoxifying supplements can alleviate symptoms of toxicity and prevent illness. There is no substitute for an evaluation by an anti aging and functional medicine physician who can tailor a program to your specific needs and guide you to a safe and effective detoxification program.